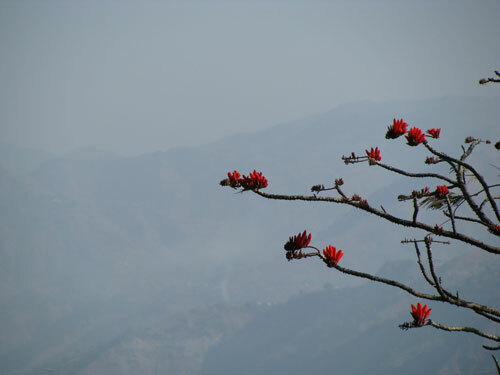 Recorded on location by Peter Caeldries during a field trip to Corbett Tiger Reserve, Uttarakhand, Garhwal and Nainital Districts, Northern India, March-April 2009. Corbett Tiger Reserve is situated at the foot of the Himalayas some 150 km south west of the Nanda Devi Biosphere Reserve and 150 km south of Gangotri, a region known to be the source of the Ganges River. Corbett acts as a protected area for the endangered Bengal Tiger but as many as 600 species of birds and almost 500 species of mammals including elephants and leopards have made the Reserve their habitat. The Reserve core is bordered to the North by the Kanda Ridge, with heights up to 1043 m. The entire area of the reserve is mountainous and falls in the Shivalik and Outer Himalaya ranges.The Ramganga river traverses the reserve East to West before joining the great Ganges River in the plains to the south. 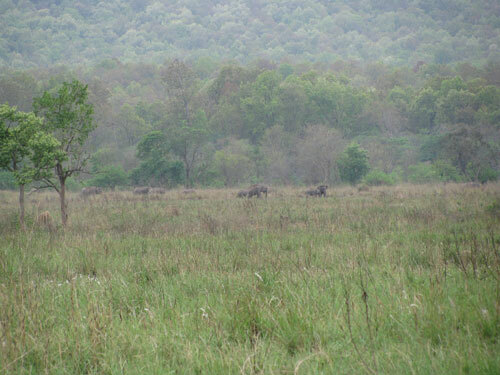 Except for the southernmost parts, Corbett is only accessible mid November though mid June. Temperature varies from 4°C in winter to well above 40°C in summer. During the June to October monsoon season the area is closed. 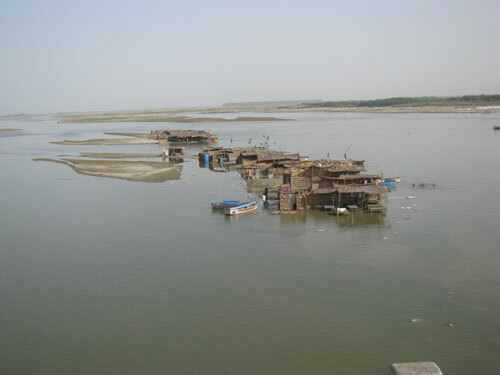 Climate is hot and humid and seasonal streams, the Ramganga and its tributaries, the Sonanadi, Mandal and Palain rivers swell to form powerful torrents. Roads get washed away and have to be rebuilt every year to make the reserve accessible again. From an acoustic ecology point of view the entire area also has important value. No ‘foreign’ sounds penetrate the jungles and the area is not overflown by aircraft. This is dramatically noticed during night time when alarm calls of animals under attack, perhaps from a tiger, are heard with a reverb that is so characteristic of deep forests. Corbett is a remote and a wild place. Jhirna Jali captures the soundscape of the Corbett jungle from daybreak to night time in 9 episodes. It attempts to immerse the listener into the living being that is the forest. 1. Early Morning. 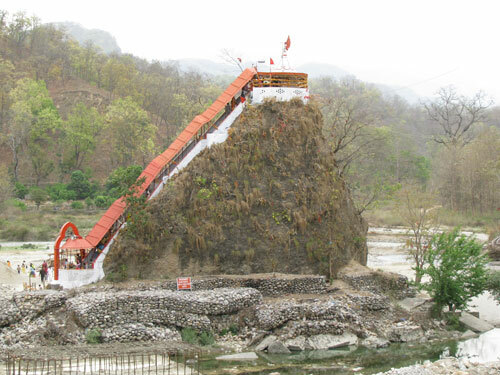 Manak Parbat is an old disused name for the area known today as the Shivalik Hills. Almost continuously heard through the track is the Blue-throated Barbet (Megalaima asiatica) as well as the Greater Flameback (Chrysocolaptes lucidus). 2. Early morning, day break. Savera is the Hindi word for morning. I had gone out when it was still dark and spent 2 hours out near camp recording the jungle soundscape as the day breaks. Here the day shines its early light over the slopes and we hear the Grey-headed Woodpecker (Picus canus) across the constant hum of insects. As light begins to settle and the heat of the day announces itself we hear the alarm calls of the Sambar (Rusa unicolor) the large deer that are mostly active at night and during twilight. 3. Mid morning. Short track recorded at camp. A mixed hunting flock and a Spotted Dove (Streptopelia chinensis) calling. 4. Mid day. Nala is Hindi for creek or small stream. After a long walk in the blistering heat, passing the few farm houses that make up Bhakrakot village we came to this creek. I set up the gear over the water where it came down a slope in the forest undergrowth and let it run for an hour. 5. Morning. 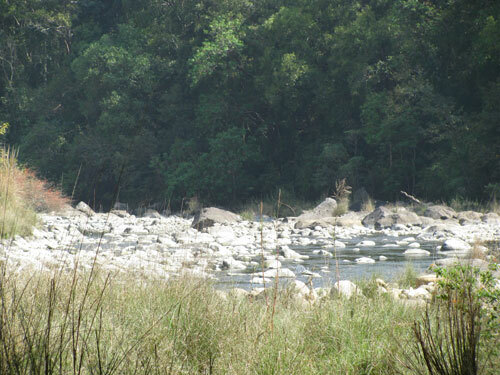 We spent two nights at Gairal FRH (forest rest house) on the banks of the Ramganga river. You feel absorbed by the jungle in this place, especially at night. Fireflies danced their light through the evening. Humidity was rising after a another dry and very hot day and peacocks were calling. At night a thunderstorm came. In the morning there was rain again and faint thunder. I set up the mics and hit record. 6. Mid day. Hydrophone recording in the Ramganga river near Gairal. Mahseer are fresh water fish found in the Ramganga belonging to the Cyprinidae (carps) family. Their habitat has high currents and fast flowing water. Specimens have been found reaching over two meters in length. The name derives from the Hindi mahāsir,or mahāser. 7. Dusk. Rajani, Hindi for night. I set up to capture the jungle sounds as night settled in. As it gets progressively darker to a point where you cannot see further than a few meters one becomes aware of how the environment changes. The hum of night insects starts taking over from bird calls heard during the day time. A Black-rumped Flameback (Dinopium benghalense) is first heard as well as a Lineated Barbet (Megalaima lineata). and the Common Hawk Cuckoo (Hierococcyx varius) easily recognized by its loud shrill calls in a repeated sequence each phrase increasing in pitch. Soon everything calms down and the calls of the Oriental Scops Owl (Otus sunia) and the Large-tailed Nightjar (Caprimulgus macrurus) appear to go on throughout the night. After an hour and a half I got back to camp. You start realizing the jungle is a dangerous place. A few days earlier we had noticed fresh tiger marks on the trees down the ridge. 8. Night. Clouds thundered or Badal garje in Hindi. On the last night at camp a thunderstorm again developed. Ran out to set up and test the low frequency response of the MKH 8020 omni mic. 9. Night. Skipper Frogs (Euphlyctis cyanophlyctis) I was able to record these at really close range with the mics on a boom over the pool but cabling back some 20 meters. Set this up late in the afternoon and just left things there for night to fall and the frogs to come out. Quiet night atmosphere with the Nightjar calling in the background. Thanks to Piers Warren (Wildeye International School of Wildlife Film-making) and Chris Watson (Touch) for leading the field trip. A special thanks to Chris for borrowing out the DPA 8011 hydrophones and the MKH 8040 and sharing knowledge. Thanks also to Ritish and Minakshi at Camp Forktail Creek for helping me with identifying species, for the short crash course in the Hindi language and the Himalaya peaks shot. Jürgen Simpson of the Centre for Computational Musicology and Computer Music at The University of Limerick was so kind to get me that great lightning shot. Thanks Jürgen. And finally, this work would have never seen the light of day were it not for the inspirational push that Natalie gave. Respect and dedication go to her. Equipment used: Sennheiser MKH 8020, MKH 8040 and MKH 30 microphones, DPA 8011 hydrophones, Sound Devices 702 recorder. Post production at 900Hz, Brussels by Peter Caeldries. Mastered by Taylor Deupree at 12k Mastering, Pound Ridge, New York. Fancy transporting yourself to the jungles of northern India? Then look no further than ‘Jhirna Jali’, the latest digital release from Gruenrekorder. This compilation of 9 beautiful recordings, made during a field recording trip to the Corbett Tiger Reserve, is just superb. Recordist Peter Caeldries uses his recordings to take us through a day in the life of the Corbett jungle and the experience is one that I would recommend to everyone with a passion for natural soundscapes. Right from the start, the listener is surrounded by the most incredible sounds. The jungle is alive with the songs and calls of birds that are welcoming in the start of a new day. Close your eyes and you are there. The recording, along with Caeldries’ rather poetic description, makes me want to pack my suitcase and leave for India right now. 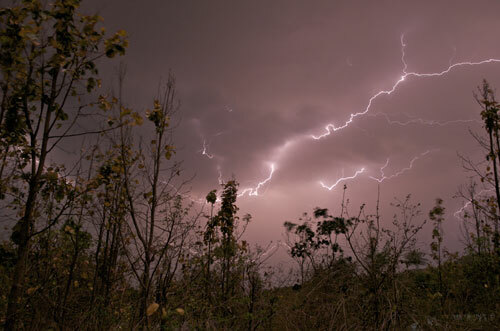 Several recordings focus their attention on environmental sounds such as flowing water and thunderstorms. One of my favourites has to be ‘Badal Garje’. This 6 minute piece gives us the pattering sound of rain set against a backdrop of rolling thunder. Another is ‘Ramganga Mahseer’, a hydrophone recording made in the Ramganga River. The constancy of flowing river is accompanied by the sounds of freshwater fish, thus allowing us to eavesdrop on this usually veiled world. All too soon dusk begins to fall. The soundscape changes as different species come into voice. ‘Rajani’ opens an acoustic window into this symbolic time of day; while some species are preparing for sleep, others are stirring and getting ready to start their “day”. Birds are gradually replaced by a wall of insects interspersed with the calls of the Oriental Scops Owl and Large-tailed Nightjar. And just when you thought the content couldn’t get any better, ‘Rana’ comes along. A quiet night time atmosphere featuring trilling insects, a calling nightjar and a group of Skipper Frogs is a perfect way to end this fantastic compilation. As the name suggests, the Corbett Tiger Reserve is best known for its most famous resident – the endangered Bengal Tiger. Look beyond this majestic figure though and you see that the reserve is also home to a wealth of biodiversity. ‘Jhirna Jali’ is a great ambassador for this incredible reserve, a triumph in the world of field recording and an absolute joy to listen to. Some sound artists use field recordings as raw material in the service of some further musical concept, whereas others approach the field recordings genre with a more documentary-like mindset, believing that the material should be left in its purest, unadulterated form. 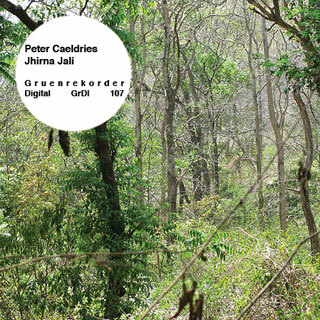 Jhirna Jali, a collection of field recordings gathered from the Northern India jungles, suggests that Peter Caeldries is a member of the latter group. 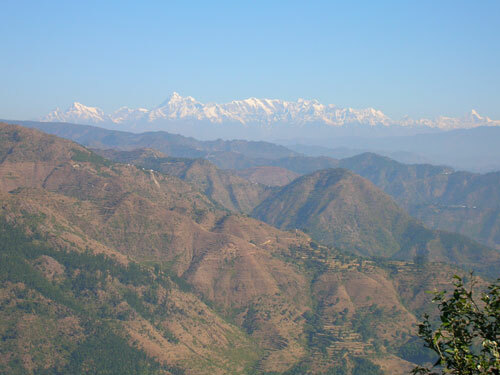 The Brussels, Belgium-based sound artist brings his background in anthropology and sound engineering training, among other areas of interest, to this hour-long collection, which he recorded during a field trip to the Corbett Tiger Reserve, Uttarakhand, Garhwal and Nainital Districts, Northern India during the spring of 2009. 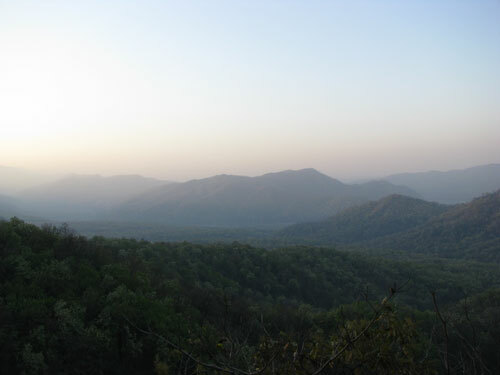 The reserve, a remote locale situated at the foot of the Himalayas and a protected area for the endangered Bengal Tiger, proves to be an ideal site for Caeldries‘ project, given that it’s home to as many as 600 species of birds and almost 500 species of mammals, elephants and leopards among them. Jhirna Jali documents activity arising within the Corbett jungle from early morn to night in a way that enables the listener to transplant him/herself into the setting with ease and experience the setting not just as a place but as an ecosystem teeming with life. Adding considerably to the immersive potential of the material is the fact that the is area not overflown by aircraft and thus no alien sounds despoil the site. “Manak Parbat Himalaya” instantly situates the listener within the exotic setting via the early morning calls of the Blue-throated Barbet and Greater Flameback. “Savera” (the Hindi word for morning) captures a wealth of sounds at daybreak, including the insistent call of the Grey-headed Woodpecker and a vast array of bird chatter and insect hum, until another distinctive call emerges to join the nature symphony, this one by the Sambar (Rusa unicolor), the large deer that’s native to southern and southeast Asia. Even a short piece like “Thatch” boasts a panorama of creature sounds (in this case the call of the Spotted Dove is a focal point). With time advancing, we’re now at midday and in “Bhakrakot Nala” next to a creek (Nala is Hindi for creek or small stream) where bird chatter and insect buzzing accompanies the dribble of the water flow. “Gairal FRH,” recorded at the Gairal Forest Rest House on the banks of the Ramganga River plunges us into a rain-drenched setting accompanied by the persistent rumble of thunder. 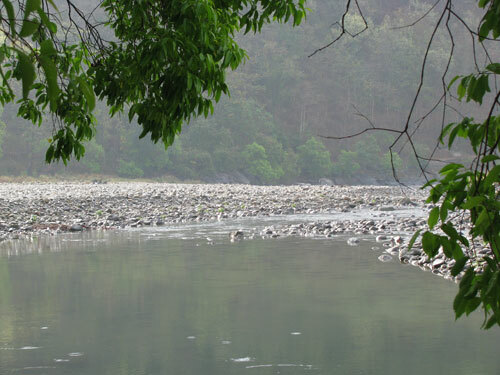 “Ramganga Mahseer” plunges us even deeper in being a hydrophone recording of the river wherein the Mahseer, a fresh water fish that can reach over two metres in length, reside. Time marches on, as the nocturnal array of “Rajani” (Hindi for night) makes clear, and when insect hum forms a droning backdrop to the respective calls of the Common Hawk Cuckoo, Oriental Scops Owl, and Large-tailed Nightjar. The album’s closing piece, “Rana,” also was recorded at night but presents a more peaceful setting dominated by the clacking sounds of Skipper Frogs captured at close range. Caeldries‘ recording is the next best thing to being there, as by the end of Jhirna Jali one feels as if one has an informed grasp of the locale’s wildlife and weather patterns. There are moments when the total sound mass captured on the recording is so dense and rich, its impact verges on psychotropic. For the home listener, an even greater degree of immersion might be achieved by darkening the room and playing the recording at high volume; in this way, the experience of listening to it becomes even more hallucinatory. A short time ago I discovered the Japanese concept mono-no-aware, expression that Takeshi Umehara had attempted to translate by : feeling of the affecting melancholic beauty of things or aesthetic melancholy in view of the things ¹. I was very touched by this idea, and this reading left me think about a lot of things but idea-sounds are never so far…. Listened field recordings with this idea it’s just fairly obvious. Moving space, winds and leafs noises, birds and bugs songs, dropes and waters games. _sunset_morning_evening_ ; each air displacement gives rise to a sound who dies right away…. Peter Caeldries with Jhirna Jali offers us a very rich sound documentary from the Northern India Jungles. At the top of the summer this exotic touch is really cool. Peter Caeldries is sound and recording artist who works out of Brussels, Belgium and focuses on field recordings, with an artistic, ecological and documental purposes. With a Master in sociology and anthropology also has a background in music production and sound engineering. ‚Jhirna Jali‘ is a sound project that Peter Caeldries made during a trip to the Reserve Corbett Tigers, in the districts of Uttarakhand, Garhwal and Nainital, North India, between March and April 2009. The Corbett Tiger Reserve lies at the foot of the mountains of the Himalayas, about 150 kilometers south west of the Biosphere Reserve of Nanda Devi, 150 kms. south of Gangotri, a region known to be the source of the Ganges. The field recordings transport us to these virgin places where you can see abundant water resources and wildlife with a variety of animals and birds. It can be hear a whole symphony of birdsongs that deploy a collage of exotic images.